As a consumer, your customer exprience often drives your purchasing decisions. This edict holds true whether you’re having dinner at a restaurant, upgrading to a new smartphone or buying a new pair of running shoes. Why should the consumption of heathcare services be any different? Unlike many purchases, healthcare customers usually have less mobility in how and where they receive healthcare services. It’s relatively easy to go to a new restaurant if you encounter bad service or to switch retailers when you have a negative experience. It’s not so simple to change insurance carriers or go to a different healthcare facility. The delivery of patient care is made even more complex when considering regulations, compliance and privacy issues. That’s why improving the healthcare “customer experience” has become so important. Making the patient experience better and enabling healthcare staff to be more efficient falls to the healthcare provider. Fortunately, providers have a myriad of technology options that can help them improve service delivery. Digital transformation creates environments to help patients make more informed decisions about their healthcare. One of consumers’ biggest complaints is the inability to easly communicate with their healthcare providers—the phone line is always busy or it rings and rings before someone finally picks up the call. As if being sick weren’t bad enough! A communications solution designed to rapidly and efficiently handle large call volumes is an ideal option for healthcare providers. A more efficient call system enables more individualized interactions between patients and caregivers and reduces wait times. Contact center and attendant solutions provide the ability to direct calls based on rules that route calls to personnel who have the skills and training to respond to certain inquiries. Calls from patients with similar questions also can often be handled through automated systems, further reducing wait times. *Before video conferencing is used in a healthcare setting, check HIPAA compliance requirements to avoid potential violations. Further, a unified messaging solution enables healthcare facilities to better manage the flurry of alerts, texts, messages, calls and notifications being sent out. Unified messaging ensures that the right information and alerts are sent to assigned personnel, reducing alarm fatigue and enabling focused care delivery to patients without unnessary distractions. Being responsive to patient needs is one of the critical aspects of a caregiver’s daily routine. 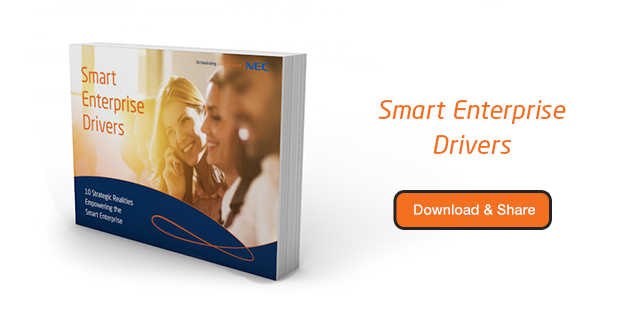 A comprehensive healthcare-focused unified communications and collaboration solution such as NEC’s Nurse Call system brings together voice and messaging to enable anytime, anywhere availability that puts patients first. Being mobile ensures that healthcare staff can commuicate easily with colleagues and patients within the demanding environment of a healthcare facility. With mobile handsets and software-based clients, caregivers stay connected so that they can share information or request assistance immediately. A seamlessly integrated healthcare environment helps ensure better interactions with patients and improves delivery of attentive care where and when it’s needed most. Since they often deliver critical life-saving and emergency services, healthcare facilities cannot tolerate service outages. By deploying a high-availability infrastructure, healthcare providers have a strong operational foundation to prevent potential service disruptions. Comprehensive protection of critical applications along with communications and collaboration give providers peace of mind as they provide ongoing patient care. A multi-tiered environment that recovers quickly should disasters occur provides added reassurance for healthcare providers. A high-availability solution supports a healthcare facility’s mission-critical capabilities and provides backup and recovery as necessary. As it has in many of industries, rising consumer awareness continues to have a profound effect on healthcare delivery. Using technology to improve service—from setting up an appointment to enabling staff communication to video diagnosis—will go a long way toward improving the patient experience, ultimately resulting in better patient outcomes. 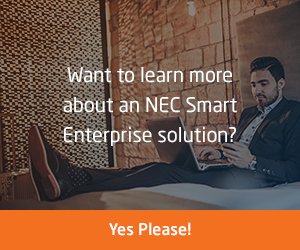 Learn more about NEC’s smart healthcare solutions. Hey Buddy!, I found this information for you: "Product of the Year Award". Here is the website link: http://nectoday.com/product-of-the-year-award/. Thank you.